For years, No Kill advocates have been promoting TNR (Trap, Neuter, Release*) for what were termed “feral cats,” cats who live outdoors and are not social with humans. Feral means an animal who has changed from being domesticated to being wild or untamed. This is not accurate for many free-living cats who have been born and raised without human contact. Moreover, the term is used to invoke the false notion that these cats are not part of the natural environment and therefore do not belong there. 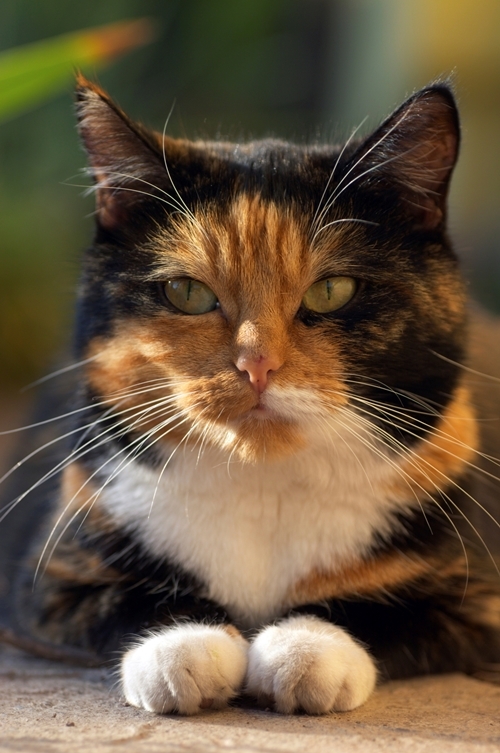 Thankfully, even as TNR has gone mainstream, the term “feral” has fallen into disuse, in favor of the more accurate term “community cat” or “free-living cat.” But at the same time, community cat has come to encompass a larger number of cats than those once deemed “feral.” Whereas “feral” denoted those cats who are not social with humans, “community cat” makes no such distinction. Any cat without a permanent address, social or unsocial with humans, is considered a community or free-living cat. At the same time as the movement has shifted from feral to free-living, therefore, TNR has morphed into SNR (Shelter, Neuter, Release) for these cats, irrespective of their sociability to humans. Should No Kill advocates support SNR for community cats who are social with humans with the same enthusiasm they supported it for feral cats who are not? With caveats. For most of the history of animal sheltering in the United States, feral cats who ended up in shelters faced an almost certain death sentence. Without a human address, there was no one to reclaim these animals. Fearful of humans, they were not considered candidates for traditional adoption and were not afforded the opportunity. Combined with the misconception that they disproportionately suffer without human caretakers because some claimed they “belong” in homes, the tragic result has been the execution of virtually all healthy and self-sufficient free-living cats in shelters across the nation. Such killing was the status quo until cat lovers began advocating for the alternative of neutering and releasing them back into their habitats. In a TNR program—an essential component of the No Kill Equation—free-living cats who are not social with humans and end up in the shelter are neutered and released back into their habitats. The shelter also works with local feral cat caregivers who trap the cats for purposes of sterilization and release. Sometimes, these cats have human caretakers who watch over them and feed them. But often, the cats who end up in shelters are like other “wild” animals, thoroughly unsocialized to humans, surviving on their own through instinct and wit and no worse off because of it. Once in the shelter, sterilization isn’t the most important variable. The most important part of the TNR equation is the “R,” the functional equivalent of adoption. Through TNR, cat advocates have found a life-affirming way to address the dogmas which the animal protection movement itself created and expounded for decades that have been responsible for the mass slaughter of these cats. Right now, TNR is the most humane option for these cats because it assures their safety and buys them a ticket back home. Today, many No Kill advocates are also promoting what they call SNR for all community cats, including those who are social with people; in other words, friendly cats who are adoption candidates. The reasons to do so can be compelling. First, some of these cats are not lost. They are outside, but they get lost when they are taken to a shelter. Returning them merely returns them home. Even if they were lost when they were picked up, the likelihood of being reunited with their families is greater for cats if they are allowed to remain where they are rather than being admitted to the shelter. In one study, cats were 13 times more likely to be returned home by non-shelter means (such as returning home on their own) than by a call or visit to a shelter. And another study found that people are up to three times more likely to adopt cats as neighborhood strays versus adopting from a shelter. At the same time, the risk of death for street cats in communities has been found to extremely low, with outdoor cats living roughly the same lifespan as indoor pet cats. In other words, the risk of death is lower and the chance of adoption higher for cats on the streets than cats in the shelter. In a study of over 100,000 alley cats, less than one percent of those cats were suffering from debilitating conditions. As such, SNR meets the two goals of a shelter better than impoundment in a shelter does: reclaim by families or adoption into a new home. In addition, SNR saves lives from shelters which have not comprehensively implemented the programs and services of the No Kill Equation. Where the alternative to SNR is death, SNR, of course, is always the preferred outcome. But admittedly, SNR for friendly community cats isn’t what we did when I ran an animal control shelter. When they were not reclaimed, we found them homes. All of them. Moreover, if the cats are truly lost or abandoned, shelters should not forget that they have a mandate to help reunite families. Since the choice presented—SNR or death—is a false one, breaking up families by simply releasing animals back on the streets without trying to find their existing home is at odds with that mission. This view loses sight of what, in fact, is one of the primary functions and mandates of a taxpayer funded, municipal animal shelter: to provide a safe haven for the lost animals of local people and a place where they can go to find them. And if the family does not show up, if cats are truly without a human home and they are social with people, they should be given one. In fact, the shelter is obligated to find them a loving, new one. That’s their job. In other words, the reason cats are more likely to find their original home or a new one from the streets is because most shelters are run ineffectively and inefficiently, not because people aren’t looking for their cats or homes are not available. Those shelters that do a good job at both have been able to increase—by 20-fold and more—the percentage of cats reclaimed by their families, at the same time that they maintain adoption rates that allow them to save as high as 99% of all cats entering the shelter. If shelters did a better job at being shelters, therefore, not only would they have realized their mission, but SNR would not be the difference between life and death for cats it is today precisely because most shelters are poorly performing. The bottom line is this: if shelters are going to embrace SNR, rather than guaranteed adoption, shelters should also do several other things: checking for identification, scanning for microchip, reviewing lost cat reports, knocking on doors in the neighborhood, and posting the cat’s photograph online. But that is not what groups like HSUS advocate. It is no surprise that they don’t since they have no experience running a fully functioning, successful shelter and have no idea how to create one. Instead, the only way they know how to save lives isn’t by training shelters to do the job entrusted to them and to do it well, but by telling them that they don’t have to do their jobs at all. By embracing SNR as a first choice, they have found yet another way to do so. Thankfully, this one does not involve killing and so when the choice comes down to SNR or death, SNR should be embraced time and time again. But those do not have to be the only two choices. If we reformed shelters, SNR wouldn’t be the first choice for socialized community cats: redemption and adoption would be. It would and should, however, remain the last, because killing should never be a choice at all. * While it is popular to use “return” instead of “release,” I believe this is inaccurate unless the term return is considered expansively to include all of the outdoors. If it is not safe to return the cats to the location where they were trapped or picked up, they should be released in another location.